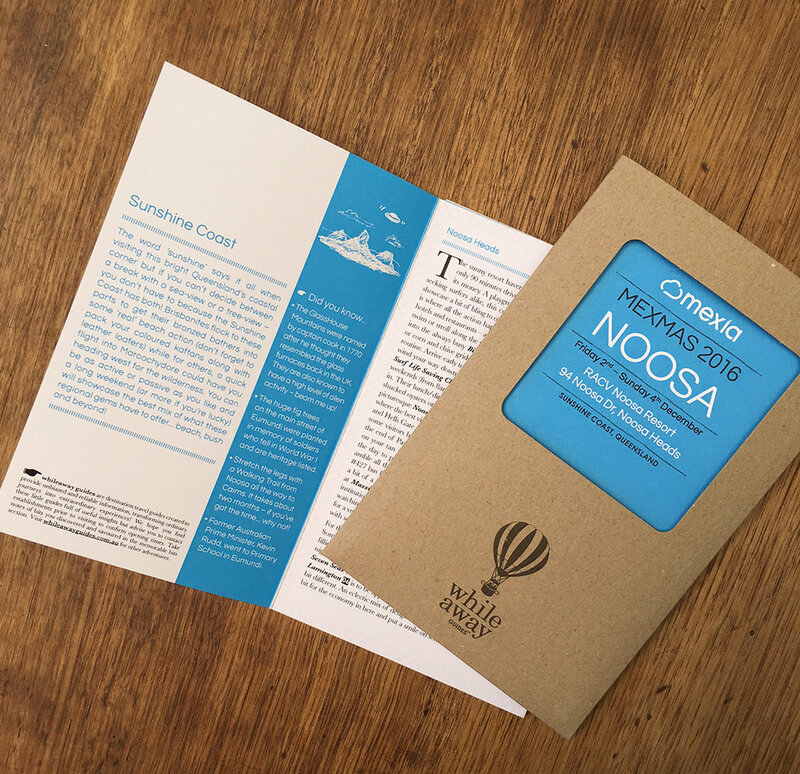 Customised Destination Guides - We've done all the hard work for you! 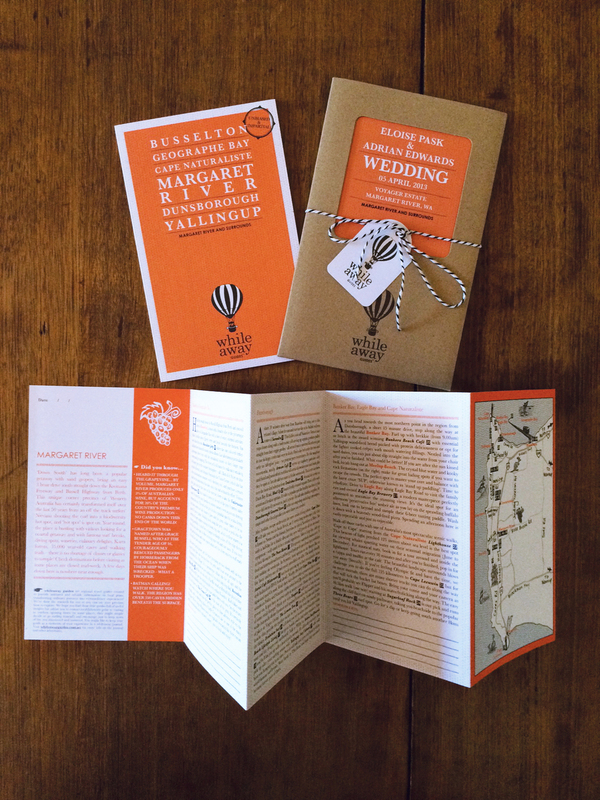 Use a Whileaway Guide for your event, wedding, collaboration or product launch. We can customise the cover so your guests, colleagues or customers can use the guides to explore the area before and after the function. Having a corporate event, party or wedding in a ‘Whileaway’ destination? 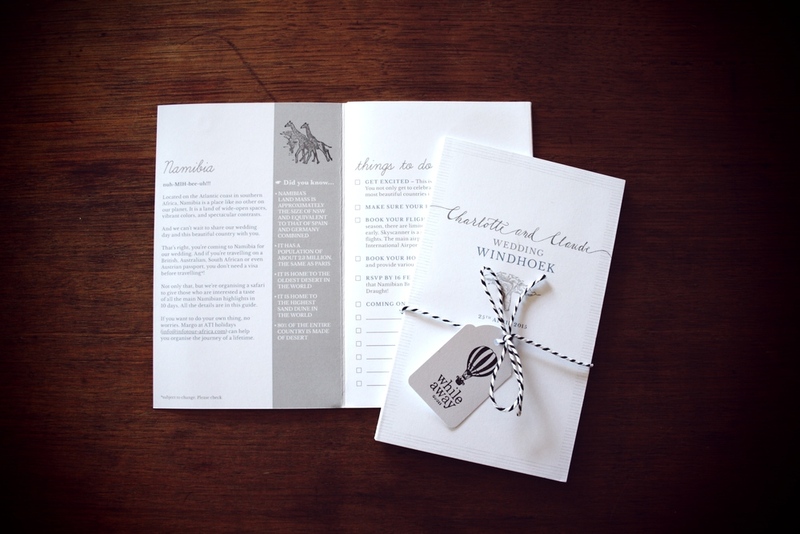 We can design a customised guide as your invitations/save the date or to add in with your invitations, goodie bags or delegate packs. We can add your company name, logo (or any other special information) on the relevant regional guide (cover only) and the inside stays the same as the regional guide of your choice. If you would like to add a separate postcard to accompany the guide ie. ‘How to get there’, or ‘What to bring’, we can do all this for you too. You can even customise the colour to suit your brand. 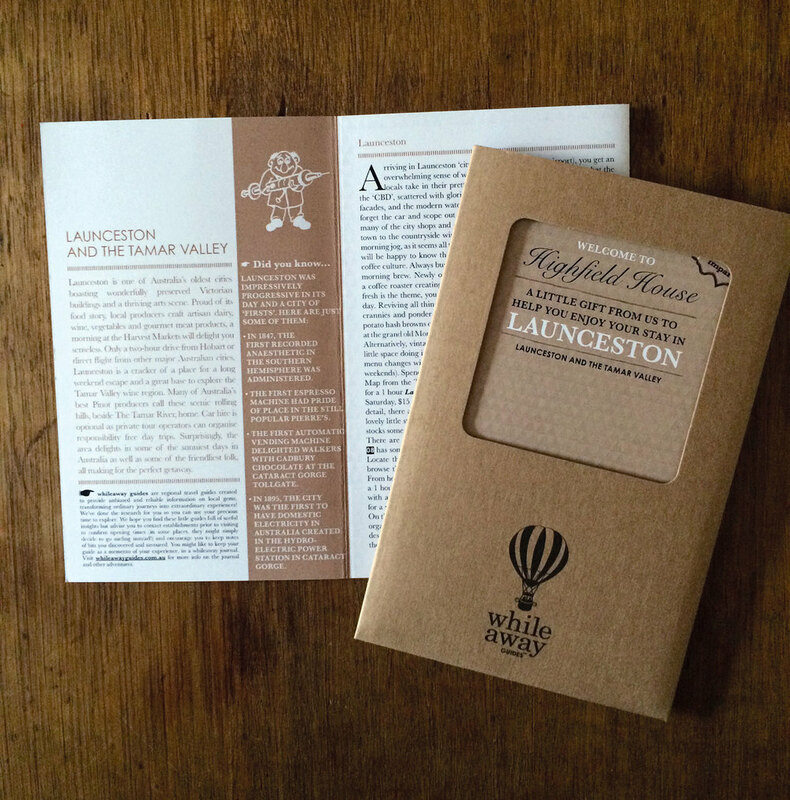 The gorgeous guides become a bespoke and memorable gift for guests who are travelling to the region, plus saves you time putting together your own guide. Plus it’s a lovely memento for your guests to keep after the function. If your location isn't one of our Australian destinations, provide us with the text and/or images we can design and style a guide just for you. (See African & Hawaii Wedding guide examples in the gallery).